A remarkable event took place during December 25 and 26, 2013. Since there was nothing to see on Lasco, BPEarthwatch took a closer look at the SDO images to see what happened on December 25 and 26 and learned that during the missing hours, a large unknown object heading towards the sun and caused an explosion. Remarkable, three days before, on December 22 the SDO Satellite went down. NASA’s statement: SDO/HMIAIA data distribution system is undergoing some emergency repairs and image updates from sdo.gfsc.nasa.gov have been suspended. 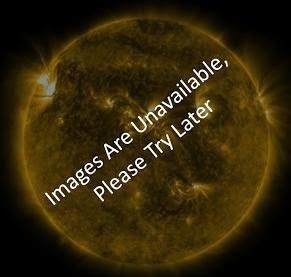 On December 23, the SDO data flow has been restored. Not much is actually known about the sun. All indications seem to suggest it is a stargate. Taken at face value as we understand it, the force of the heat being expelled is pretty much what negates the gravitational force and why the planets stay in a steady orbit around it. It must be expelling TREMENDOUS force to keep us in orbit, therefore it seems highly unlikely that an object could get close enough to actually break the balance between attraction and repulsion. Unless it is deliberately forcing itself through somehow possibly by using wormholes. Otherwise, my suspicions that the sun is far from what we believe it to be may be more likely. Some suggest that the light coming from the sun doesn't actually come from the sun itself but from the other side of whatever sort of stargate it may be. We might think we know how the universe works, but we could be modern-day flat-earthers for all we really know. So, acording to Ross, we 'dont know much about the sun' so it must be a stargate( like from the movie). 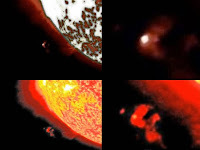 We know plenty about the sun and a ' stargate' is not a proven entity so i dont see your reason for connecting the two. Also 'heat gravitational repultion' .. I refer you to the recent ISON comet, was it not drawn in via the suns gravitational pull?? I agree that we do not understand the ways of the universe and our physics is mostly guess and theory. I enjoy reading the articals and comments on this site, but lets try not to get carried away.